Map It! 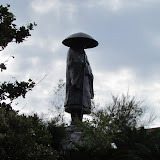 Okinawa: "Statue of Shinran Shonin in Onna Village"
Update, August 27, 2012: The post originally stated that this statue was in Yomitan Village. That is incorrect. The statue is in Onna Village a few kilometers north of the Yomitan Border. 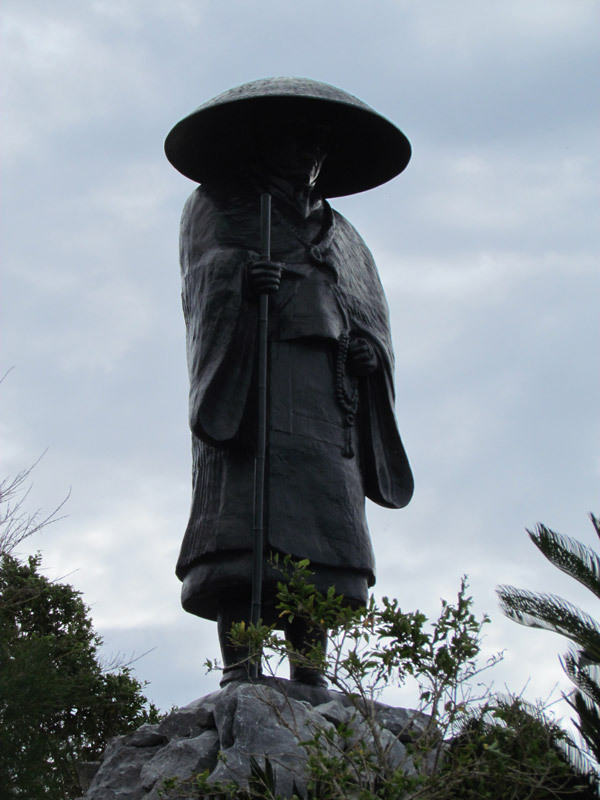 This giant statue is of Shinran Shonin, a Buddhist priest living in Japan during the 12th and 13th century. He is the founder of Jōdo Shinshū sect of Buddhism. Statues like this one are common at Jōdo Shinshū temples. But there is an interesting side story to this statue. Ten years after World War II, a similar statue was given by the Japanese as a gift to the United States as a message of hope and world peace. What is notable about that statue is that it was one of few structures at Hiroshima that remained intact after the atomic bomb was dropped. That statue currently resides in New York City. Shinran Shonin embodied ideals of peace and benevolence towards one another, and as such, he inspired many to follow his ways. One such man was Yehan Numata, who was the one that donated this statue that rest in Yomitan Village. Mr. Numata is the founder of Mitutoyo Corporation. The statue stands next to a Buddhist temple bell (See picture album above). Getting there isn't hard at all. It is right off Hwy 6 in Yomitan. The entire site stands next to the ocean. Parking: There is a small parking spot next to the statue. See green thumbtack. What to bring: Camera, umbrella, bento box (optional).